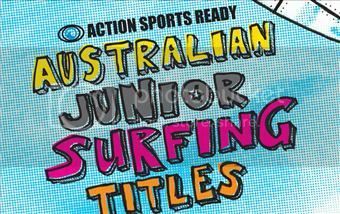 Action Sports Ready Australian Junior Surfing Titles presented by Soundwave runs November 27th - December 3rd in Coffs Harbour. Mikey Wright will be there chasing the U 16 Aussie Title. Good luck mate. Mikey destroyed his opponents in round 1, comboed them with a 17.75 ( 9.00 and 8.75 ) heat total. “To win an Australian Junior Title would be pretty special, there’s heaps of past great surfers who have won them and I’m super keen to get to the world junior titles next year so this event is important to me”. Another great day for Mikey today with wins in the quarters and semis.